Everyday a number of people from different parts of India come to Maharashtra. Many of them, it is true, come only on a short visit to this state. But quite a few come with the intention of staying here for a number of years and in some cases even permanently. Among them are students and professors who come to join the schools and the colleges, government servants and other officials whose services are transferred to the state of Maharashtra. All of them feel the need of learning Marathi. For those who live in the big cities of Maharashtra the need may not be great. But for those who must live in small towns and villages the knowledge is indispensable. Even in the cities, the non-Maharashtrians will have many occasions to feel that the knowledge of Marathi is an asset. Apart from these practical considerations there are other reasons for learning Marathi. A knowledge of the language of others helps us to know them better; their literature, customs and religions reveal the underlying unity of India. It is not true that Marathi is difficult to learn Most of the Indian languages are so alike in the structure of the sentences and have many words in common. I know many Gujaratis, Kannads, some from the north and the south of India who speak Marathi quite well. This book is an attempt to make the process of learning Marathi easy and natural. Through simple exercises is explained the construction of almost all types of sentences met with in day - to - day conversation. In the end is provided a vocabulary which will meet the needs of daily life. 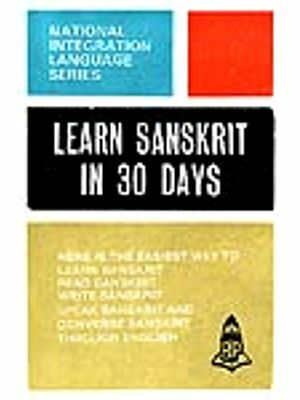 We are adding one more book namely 'LEARN MARATHI IN 30 DAYS THROUGH ENGLISH' to our Language Publication. The response of the public all over the country to our language books has been remarkably encouraging and it is but natural that we go forward in bringing out more and more of such books. The linguistic division of our country was definitely a disservice to the cause of national integration. But our people in their zeal to learn one or more of their country's languages have risen above the artificial barriers of their numerous languages and linguistic divisions. Even if a few thousands of our people have been able to acquire a smattering knowledge of one or two languages of their country through our books, in addition to their mother tongue, we can legitimately be proud of our service, however humble it may be to the lofty cause of our national integration. 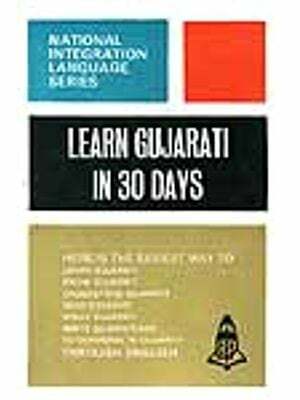 We have no doubt that our new addition 'LEARN MARATHI IN 30 DAYS THROUGH ENGLISH' will be very useful to those of us who go to Maharashtra either to prosecute their studies or to try their fortune in life. As the author rightly points out, Marathi is not a difficult language to learn, provided one has the will to learn it. It will be far easier for the Hindi-knowing people to learn Marathi as it has somewhat a close kinship with Hindi. Maharashtra h produced national heroes of the highest order like Shivaji and Lokamanya Tilak and we should consider it a privilege to learn their language which has a rich heritage. Further, we will be shortly putting through our programme of publishing books 'LEARN MARATHI IN 30 DAYS THROUGH TAMIL', 'LEARN MARATHI IN 30 DAYS THROUGH TELUGU', LEARN MARATHI IN 30 DAYS THROUGH KANNADA' AND 'LEARN MARATHI IN 30 DAYS THROUGH MALA YALAM..